We have always been prepared to be the first to do things. Paving the way for new ways of working is what we do best. We are proud to be adding a new string to our bow, a new ingredient to our recipe. We believe generative content is the future of show design. Rendering in real time for a show that responds to its environment has expanded what’s possible – real time interactivity. 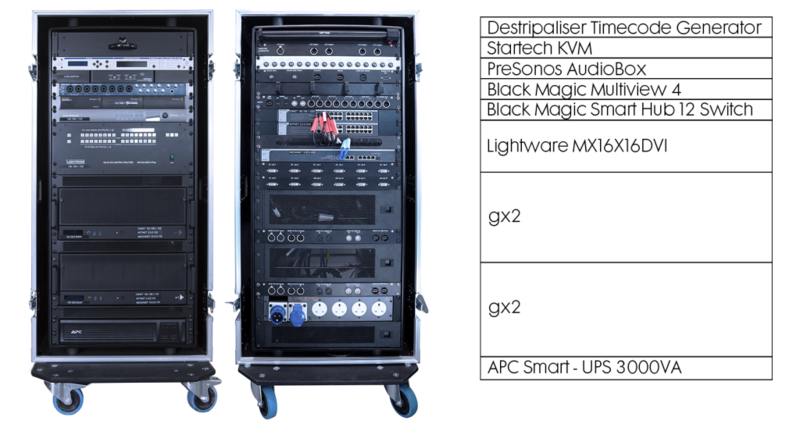 Which is why we’ve made our disguise gx series media server racks available for long and short-term hire. 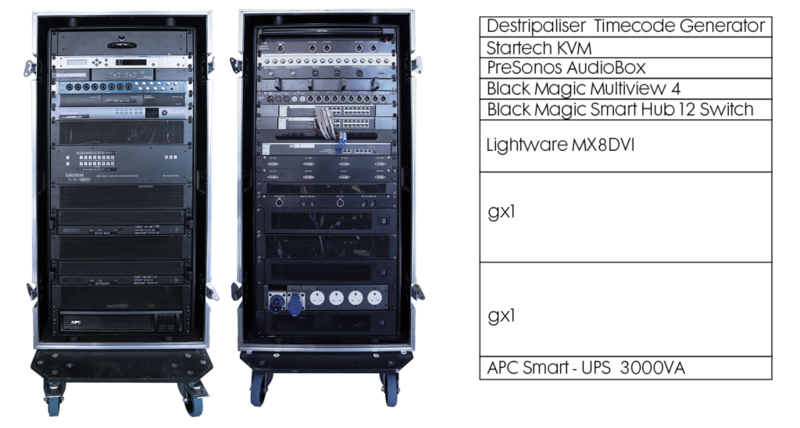 Complete with Notch real time software and playback licenses –our racks pack a powerful punch, with technology that is trusted by the world’s biggest artists, brands and events. We have both the gx1 and gx2 range available for hire. Both units come fully flight cased in a 24RU Rack, with Notch Builder & Notch Playback. As a boutique disguise studio, we have an innate understanding of what visual creators need. Our racks are skilfully prepped by an in house team, who will support you throughout your hire. We understand the importance and value of a solution that will integrate seamlessly with your event. To discuss capabilities and technical specifications please get in touch today.